Terribly Interesting: Vote for Denbigh. Look at Cute Pictures. Vote for Denbigh. Look at Cute Pictures. 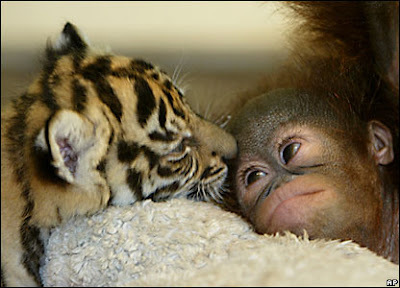 I saw these pics on the BBC News web site the other day and thought they were adorable. 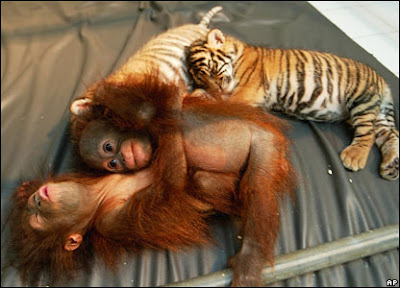 They will soon no longer be able to be friends though because the tigers start eating meat at 3 months old. Isn't that how it always goes? I have no idea what I mean by that. Enjoy.